Below: Following passing of the Soil Conservation Act in 1939, Spafford established the Soil Conservation Branch and appointed R.I. Herriot as the first Soil Conservator in 1941. 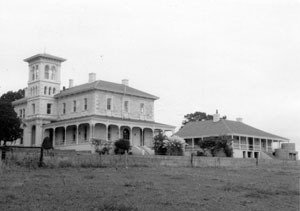 Below: Struan Regional Centre in 1974. This property was ultimately developed to become the Department of Agriculture’s South East Regional Headquarters. Below: The Yamba fruit fly inspection point for vehicles entering the Riverland in 1959. 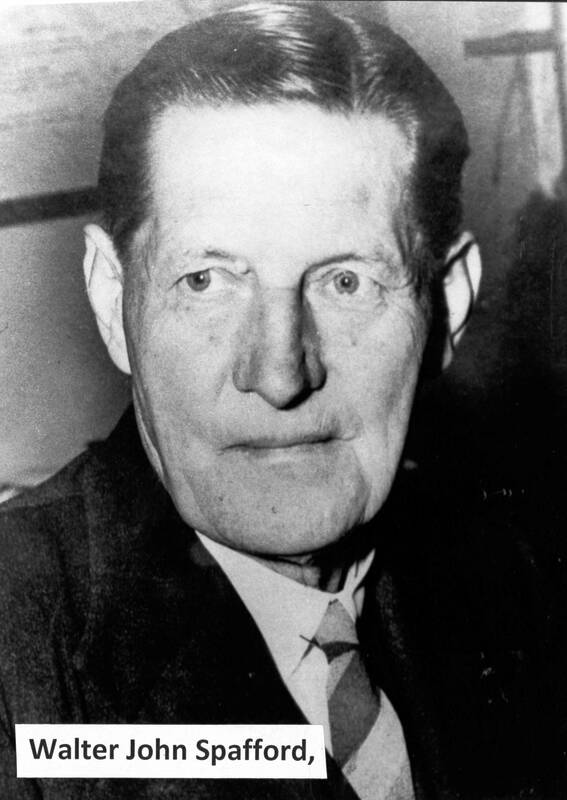 Arthur Perkins retired as Director of Agriculture on 10 May 1936 and a day later Walter John (Bill) Spafford who had been Perkins’ Deputy Director took over the job. For the first few years of Spafford’s term there were no major structural changes. Herd recording continued to grow with 14 associations established by 1938-39. Experimental plots were located on more than 110 farmers’ properties. Tobacco growing still survived sufficiently as a minor crop to justify the continued employment of a tobacco field officer. Harry Kemp and Allan Beare, both agricultural science graduates, were appointed Horticultural Research Officers in 1936 and 1938 respectively. Agricultural Bureau branches numbered nearly 350. Perhaps the most significant change was to re-name “instructors” as “advisors” in all areas except dairying where the head of the branch retained the title “Chief Dairy Instructor” because it was enshrined in legislation. Just before the advent of World War 2 in 1939, several major developments occurred. The most far-reaching of these was the passing of the Soil Conservation Act 1939. Concern had been growing for some years about the increasing impact of wind and water erosion on farming, especially in the marginal lands, on the sandy soils of the Mallee and elsewhere. The new Act established a structure for enforcing sound erosion control and prevention measures by the issuing of Soil Conservation orders and requiring that official approval be given before so-called scrub lands could be cleared. These measures would necessitate the appointment of staff with appropriate expertise and thus a new Soil Conservation Branch was created. 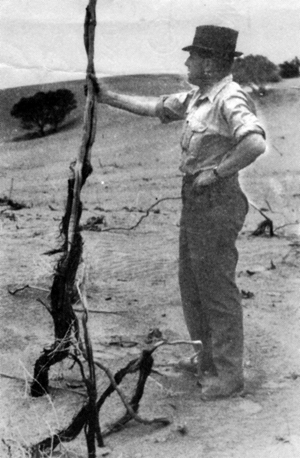 The first Soil Conservator, R.I. Herriot, an Adelaide agricultural science graduate, who had been a high school teacher and then a soil surveyor with the CSIR Division of Soils, was appointed to the job in March 1941. The Institute of Medical and Veterinary Science, was established under its own legislation in 1938 and was to have fine laboratories on Frome Road, close to the facilities of the University of Adelaide medical school and the Royal Adelaide Hospital. Due to war time stringencies, the new institute did not make much headway until the late 1940s when the veterinary pathologist of the Stock and Brands Department (L.B. Bull) transferred to it. Bull later became the Chief of the CSIR/CSIRO Division of Animal Health. Development of the first dedicated viticultural research station started in 1938-1939 with the acquisition of land (and preparation for initial planting) on the outskirts of Nuriootpa in the Barossa Valley, at that time regarded as the hub of the State’s wine making industry. The Agricultural Bureau movement celebrated its fiftieth anniversary in 1941 and boasted 7666 members in the men’s branches. The first two animal husbandry advisors were appointed, one in sheep husbandry and the other to work with pigs. They were both responsible to the Chief Agricultural Advisor, R.C. Scott. There was a new Agriculture Seeds Act and the Minnipa Experiment Station, which had been in limbo under a share-farming agreement, came back into departmental operations as a seed wheat farm. Significant changes were forced on the Department, especially when the Pacific theatre of war commenced. Prior to this, however, the Stock and Brands Department lost half its veterinary officers to the Australian army which still had many activities requiring the use of horses. WW 2 had a major impact on the role of departmental staff, especially the setting up of District War Agricultural Committees. These bodies were chaired by the Department’s District Agricultural Advisors and were required to investigate and report on farmers’ needs for manpower, machinery and the many materials which were in short supply and closely regulated under National Security Regulations. The Department also had a significant role in supervising production of a range of food and industrial crops critical for the war effort. The Stock and Brands Department gained a new resource for its work with the passing of the Stock Medicines Act 1939 but its tasks were made more difficult with half its veterinary staff in the army. However, a Veterinary Districts Act came into force which imposed a levy on livestock owners thereby creating a fund to foster the employment of veterinarians in private practice in farming areas. In September 1944 the Stock and Brands Department, an independent agency for 50 years, became a branch of the Department of Agriculture, under its Chief R.H.F. Macindoe. The State’s Ligurian Bee Stud Farm was established on Kangaroo Island in 1943-44 to ensure the preservation of what was believed to be the only pure strain in the world of this allegedly gentle honey producer. This led to the development of a significant trade in Ligurian queen bees. The transition from war time to peace brought many changes for the Department. 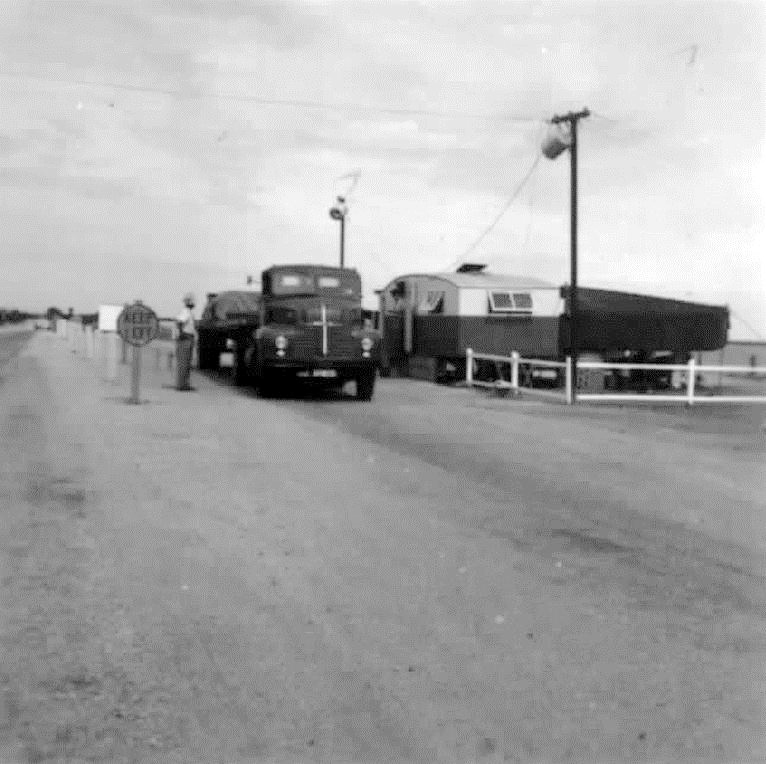 By 1946 the Soil Conservation Branch was in full operation with a staff of eight and its activities were recorded for the first time in the Department’s annual report. A major activity was the assessment of applications for clearing scrub land to prevent clearance of land likely to result in sand drift. A significant 700 applications were assessed in 1946-47 with Lands Department Inspectors helping to share the workload. After the war, the District War Agricultural Committees ceased to operate and district advisors could concentrate fully on their extension duties. The Agricultural Bureau movement was flourishing, 377 branches in operation – 273 men’s, 62 women’s and 22 junior, the forerunner of the Rural Youth Movement to come a decade later. Herd recording was now seen as an essential part of successful dairy herd management with more than 10,000 cows under test in 14 associations. Official herd testing was well established in the industry with nearly 80 dairy studs involving over 1,000 cows being tested. In 1948, the SA Government purchased 465 hectares of land and the homestead known as the Struan Estate. Approximately half of the land and homestead was established as a farm training home for delinquent boys. The remainder was assigned to the Department of Agriculture as an outstation of Kybybolite with the goal of carrying out animal husbandry research. In January 1947, the first fruit fly outbreak was detected in suburban Adelaide. A massive eradication campaign was organised at short notice with proclamation of infested areas, public cooperation sought in reporting infestations by maggots in fruit, and swift identification of suspect larvae (many of which were the harmless ferment fly, Drosophylla). Where Queensland Fruit Fly was confirmed, stripping and destruction of host fruit and insecticide spraying was used. An emergency labour force was created for spraying by seconding large numbers of men from the Engineering and Water Supply work gangs. Every officer of the Horticulture Branch was involved in supervision, organisation and technical checking. The entomologists at the Waite Institute had little time for anything except maggot identification. The threat to the State’s valuable export fruit industries mainly in the Adelaide Hills and the Riverland was immediately recognised by the government and effective steps were taken to enable the commercial fruit growing areas to be certified free of fruit fly. Following the first Queensland fruit fly outbreak, Mediterranean Fruit Fly, from Western Australia was detected. There after eradication campaigns in the metropolitan area, supported by quarantine barriers at the State’s north-eastern and western borders became regular features of South Australian life. The Department gradually built up an efficient pest control unit, originally based at the water pressure tower at Glenside. Significant changes were occurring at Roseworthy College. The first lecturer in agricultural economics was appointed, D.B. Williams, who later became the Director of Roseworthy as a College of Advanced Education. The College’s teaching in the animal sciences was greatly strengthened by the appointment of P.G. Schinckel and it also established a diploma course in dairying. In 1947-48, the Women’s Agricultural Bureau was given its own governing body with the appointment of the first Women’s Agricultural Bureau Council. The first Soil Conservation Districts with local boards, provided for in the Soil Conservation Act were being set up in established farming areas with serious water erosion problems. This brought immediate improvements through local landholder involvement in programs for contour banking and erosion control. Bill Spafford retired in April 1949 after an illustrious career of some 45 years starting as wheat breeder at Roseworthy in 1904. He was always highly regarded by his predecessor Arthur Perkins and continued to serve agriculture for another decade as Chairman of the Australian Barley Board which marketed the Victorian and South Australian barley crops. When he left the Department, it bore some resemblance to the organisation of future years. It comprised specialised branches each under highly competent leadership – agriculture, horticulture, dairy, soil conservation, animal health, and general inspection. It was supported by a library, the Journal of Agriculture, the agricultural bureau system and administrative and accounting units. Research Centres were either the province of a branch (eg. Horticulture) or the Chief Experimentalist for general farming investigations. The Department still lacked some functions such as an economist, an information officer, a graphic artist or photographer, a biometrician, policy secretariat, personnel and staff development officers. These would become part of the Department in future years. This article was researched and written by Peter Trumble, a retired Deputy Director General of the Department of Agriculture.